Background Information: The Agile and Harmonized Assistance for Devolved Institutions (AHADI) is a five year USAID program implemented by the State University of New York’s (SUNY) Center for International Development (CID). AHADI is funded by both USAID and DFID. The program is designed to support Kenya’s vision and agenda for achieving the promise of devolution. The program’s interventions aim to promote governance systems that are transparent, accountable, effective in service delivery, and responsive to empowered citizens by working at both the National and County Government levels. 1. Targeted counties provide higher quality services through improved governance. 2. Improved representation of citizen interests and oversight of targeted County Government performance. 3. Functionality and effectiveness of the devolved system increased through intra-government engagement and cooperation. AHADI is primarily a Democracy Rights and Governance (DRG) program focused on improving the governance of Kenya’s new decentralized system. It is an integrated governance program that uses sector entry points to achieve both governance and sector outcomes. These sectors include but are not limited to good governance, resilience and economic growth, education, climate change and disaster risk reduction. Position Summary: This position provides grants management and administration services to the portfolio of grants and contracts that are implemented by the SUNY AHADI. The incumbent reports directly to Senior Grants Manager and assist in ensuring effective and timely administration of donor agreements and sub-agreements through the award life cycle; developing an understanding of donor requirements and expectations for the agreement; ensuring compliance; and coordinating with country offices, program staff, and others throughout SUNY AHADI and within partner organizations as appropriate. These activities include coordinating meetings, raising PRs on behalf of the program team, updating the Grants tracker, the Grants calendar and travel arrangements; and drafting and consolidating correspondence, notes, reports and summaries and other administrative tasks such as consultant payments and others deemed necessary. A key responsibility will be to serve as the liaison and manage the flow of information between the Senior Grants Manager, the Grants/Program Teams. · Support in overseeing grant management policies, and developing and enforcing procedures that assure transparency in the grants processes. · In liaison with the Grants Manager, receive and review periodic grants reports for all grantees, liquidate the eligible costs and take relevant action on the expenses rendered ineligible and ensure proper allocation of expenses, reasonability of expenses and allow ability as per donor guidelines. · Make regular visits to the grantees and coordinate with the AHADI respective MERL and Program Officer. Position Summary: The Program Officer – DFID for AHADI conceptualizes, designs, and coordinates a range of interventions to build the capacity of Kenyan institutions at the county and national level, including but not limited to: The Council of Governors; the County Executives; the County Assemblies, the County Assemblies Forum and diverse governmental and non-state actors. Since many of AHADI’s interventions will be implemented through its grants facility, the Program Officer – DFID will contribute to the drafting and design of grant proposals and contribute to in-kind grants and other supports to governmental and quasi-governmental organizations, developing synergies and constructive engagement between AHADI and Kenya’s devolved institutions. She/he will report directly to the DFID Team Lead and work closely with the Programs, Grants and Monitoring and Evaluation and Learning teams. She/he will support the Chief of Party and the respective members of the Senior Management Team and Program Team Leads in the timely, quality performance and delivery of the overall AHADI Program. The incumbent will report to the AHADI Program Lead. · Assist the DFID Program Team Lead and team members to initiate and build relationships with government officials (National, Intergovernmental and County entities). · Ensure that the Team Lead is well apprised on changes in the operating context so that in turn, the TL can consider adjustment to programming and in turn can appraise the SMT for the necessary appraisal of the project donor’s changes to respond. · Contributes to the development of grants strategies and negotiates technical scopes of work for grants; and coordinates support to governmental and other partners. · Support the preparation and implementation of the AHADI DFID (and USAID) work plan, monitoring and evaluation and reporting against the DFID results framework and preparing consolidating for submissions for briefing and reporting to DFID (and USAID as necessary) as well as to beneficiaries. · Maintain regular communication with other development partners, Government entities (National, Non-State Actors, and County). · Coordinate with the M&E team to report on activities, track results and harvest outcomes; and prepare reports, document and ensure that lessons learned are used to adjust activity implementation. · Monitor and advise on the program learning tools and websites, internally for AHADI team, for collaboration with DFID, USAID and other development partners, for Inter-Governmental sharing, and for collaboration with other civil society. · Monitor the Program Management System and Database to ensure that all information is being captured and that the M&E team and communications team are accessing the information. · Demonstrated results based program management, strategic planning, and problem solving skills working on complex projects in a highly sensitive environment are required. · Ability to work effectively with a broad range of Kenyan elected officials, technocrats and leaders from civil society. · Ability to work both independently and in a team environment to achieve consensus on strategies, activities and administrative matters is a must. 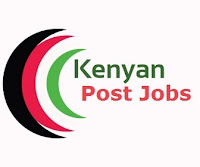 · Demonstrated outstanding oral communication skills, tact and diplomacy in establishing and sustaining working relationships with high-level Government of Kenya officials and building a high level of trust with public/private organizations. · Excellent written communication skills are required to contribute to consultants’ Terms of Reference, regular and ad hoc project reports, snapshots, lessons learned and briefing notes. · Training and or experience in an education-related field is an added advantage. · Diplomacy and negotiation when working with community and Government representatives. · Ability to work in a multi-cultural environment. · Strong interpersonal communication skills i.e. ability to build strong relationships with partner counties. · Attend the NSA activities and give feedback on data collection in the ground. · Collate data on a monthly basis from the NSA’s and report any correction/reviews with the NSA’s. · Report on the gaps in the data received from the NSA’s and share with M&E focal point at AHADI. · Review and analyze the data from the NSA’s to assess for quality reporting, targets vs achieved and against the narrative report. · Conduct spot checks and data quality assessments at the NSA’s institutions in collaboration with the M&E focal point at AHADI. · Collate and analyze the data from the NSA’s into the AHADI indicator data template and GIS template as described in the M&E plan. · Store the data received from the NSA’s in soft (excel, reports, Activity database) and hard (List of Participants, Post Evaluation Questionnaires, Reports, Laws, Guidelines, and Training materials) copies. (3) References from three Professional Referees, one referee should be a previous or current supervisor. Closing date: September 07, 2018.